Mmmmm....that ice cream on hot chocolate cake. I'm drooling. Drooling here looks so yummy! The single serve mocha cake is perfect way to indulge in chocolaty goodness anytime . Looks so yummy. 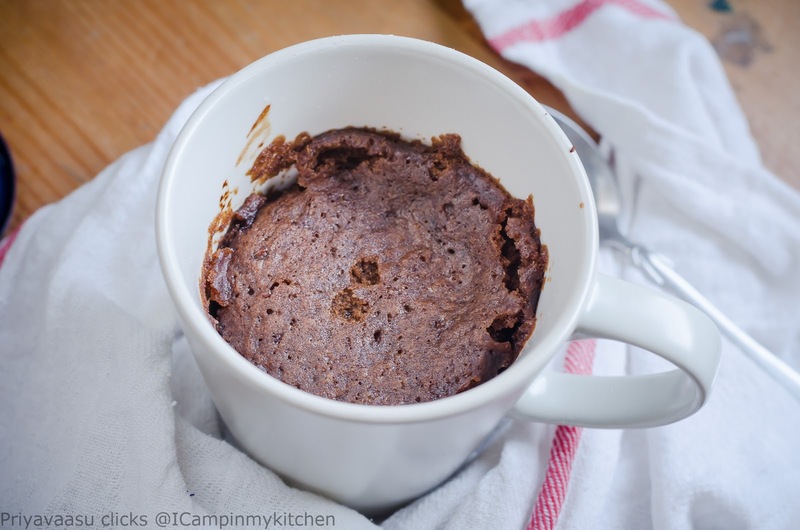 Prefect single serving mug cake, just love it to the core. Yummy, yummy treat that is perfect for those afternoon sweet cravings. 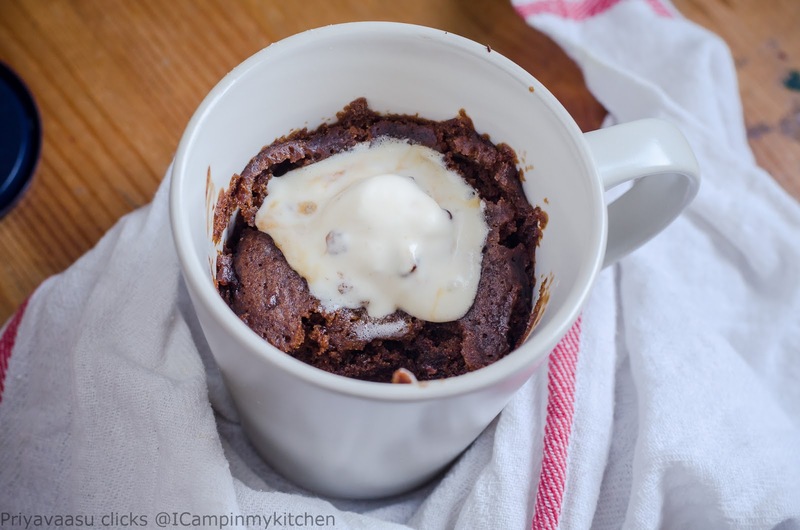 This is one super sinful mug cake Priya..looks so yummy!